Available in the United States for the first time ever. See how our 2-in-1 Decompression Belt can keep you moving. Get fast, temporary pain relief with our TENS devices. The Decompression Belt provides both back support and clinical grade traction and decompression therapy to reduce upper and lower back pain. 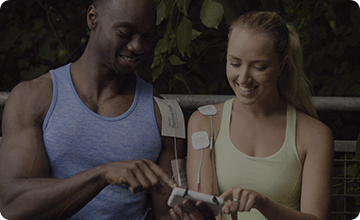 The Pain Therapy System Pro is a TENS device developed to reduce pain using clinically proven technology and modern features. The Circulation Promoter is a TENS device specifically designed to help improve circulation, reduce swelling, and alleviate aching feet and legs. The Neck & Shoulder Shiatsu Massager assists with neck and shoulder pain and provides deep soothing shiatsu massage paired with gentle heat. Designed to help reduce headaches as well as neck and shoulder pain, the Neck Comforter provides professional neck traction and stretching at home. DR-HO'S best-selling TENS device for over 20 years. It uses clinically proven technology that has helped millions of people effectively manage their pain. The Perfectback Rest is designed to support the spines natural curve to promote healthy posture and provide comfort with 16 pressure points. DR-HO'S Gel Pad Replacements are developed with high-quality, super conductive gel. They can be used to target different areas of pain. 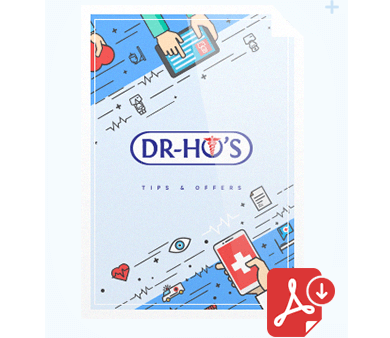 DR-HO'S® Anti Pressure Insoles are innovative shoe insoles that provide relief for knee, ankle and foot pain using pressure-sensitive air pumps. DR-HO'S® Mobility Cream is a super strength, odour free, fast acting, and deep penetrating cream for sore muscles and aching joints. This accessory provides support for your joints and muscles while also providing the benefits of TENS to relieve muscle tension and pain. Essential Multivitamin is DR-HO'S provides over 40 essential nutrients to help meet the demands of today’s hectic lifestyle. This is an all-natural product formulated for digestive ailments such as bloating, irritable bowels, constipation, indigestion, gas & weight gain. DR-HO’S ® Mobility Joint Supplement combines high levels of two of the most effective, well-studied natural ingredients to help relieve joint pain. DR-HO’S® Sereni-Tea contains a powerful blend of oriental and western herbs that helps cleanse the body and relax the mind to improve sleep. DR-HO'S products are an entirely drug free solution to help manage your pain. They do not require any over the counter or prescription drug supplements in order to be effective. All DR-HO'S products are completely natural solutions. DR-HO'S products are scientifically proven to relieve pain, reduce muscle tension and spasms, increase tissue oxygenation and improve circulation. The Pain Therapy System was part of a scientific study conducted by Dr. Stuart M. McGill, Ph.D and commissioned by Dr. Michael Ho. View the full study..
Over one million Pain Therapy Systems have been sold worldwide. We want you to experience the benefits that it has to offer, without the risk. If you are not satisfied, simply return it within 90 days and we'll give you your money back less S&H.